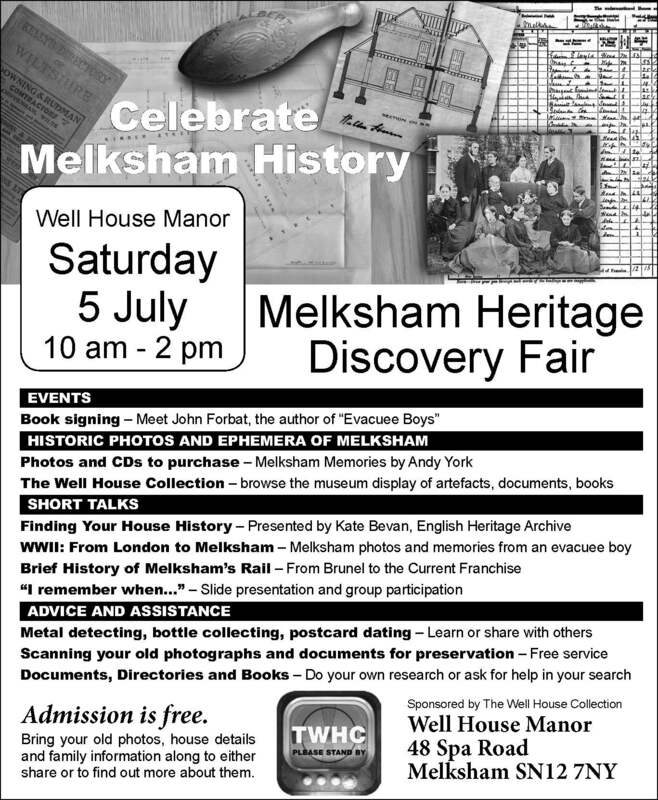 Our first Melksham Heritage Discovery Fair was hailed as a big success owing to the exhibtors, speakers and general public. We're hoping to make it an annual event! 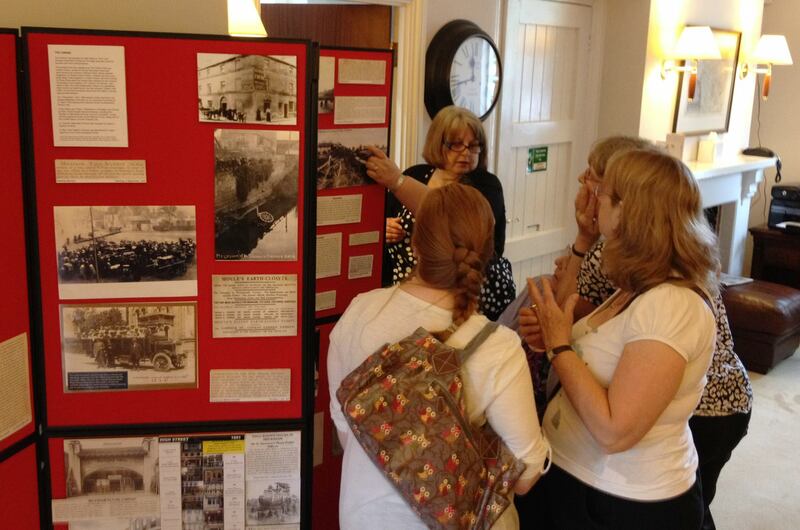 Photographs, copies of documents and old newspaper articles were on display. 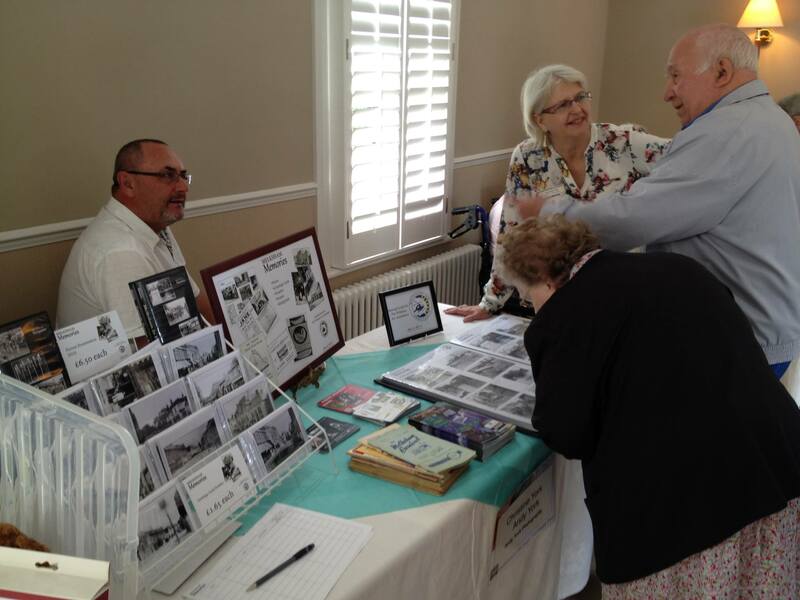 Andy and Christine York (Andy York Photography) sold CDs and photographs depicting historic Melksham, with proceeds going to Wiltshire Air Ambulance. 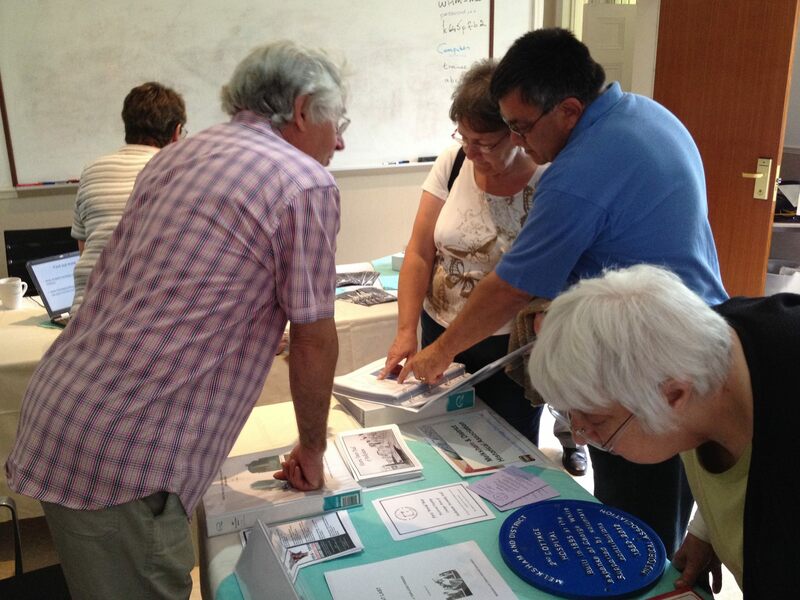 Melksham and District Historical Association were on hand to answer your questions about Melksham's past. 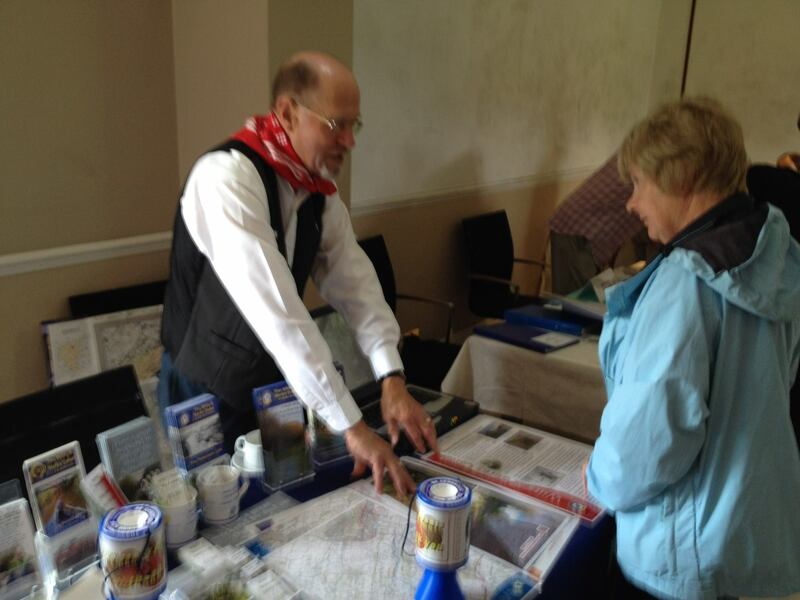 The old and new canal through Melksham was displayed by the Wilts and Berks Canal Trust. 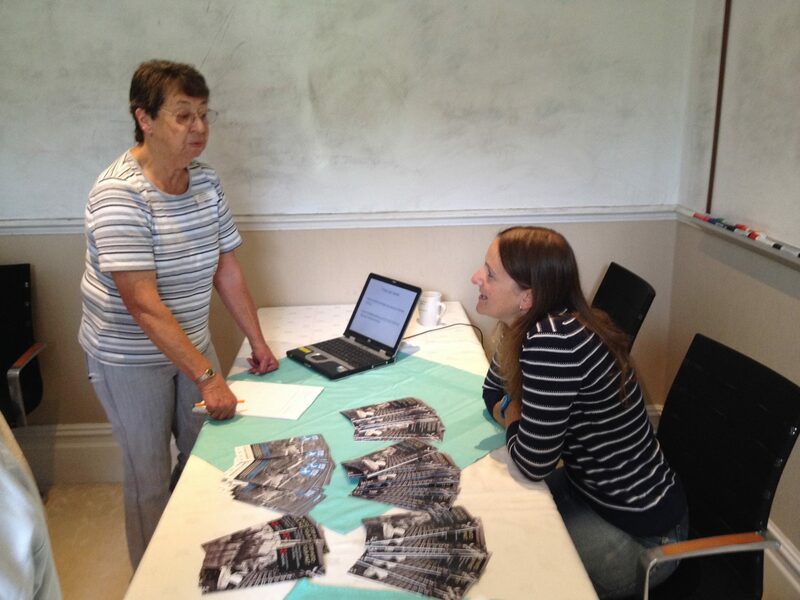 Kate Bevan of English Heritage (seated, right) with Cathy Berry. Kate gave a presentation on how to find your house history. The newspaper advertisement announcing this 2014 event.